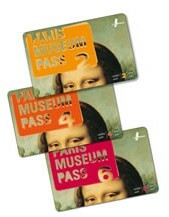 With the Paris Museum Pass, you get direct entry to over 60 museums in and around Paris, without having to wait in line! It's the easiest, most affordable way to visit the great historical treasures that encompass the Paris Museums. The more museums you visit, the more you save! Your Paris Museum Pass even includes Paris' most famous museums - the Louvre Museum, Cluny Museum, Notre Dame, Picasso Museum, Rodin Museum, the Pantheon, and the Centre Pompidou! Three different options to choose between - 2, 4, or 6 day passes are available! Unlimited number of visits - see as many museums, as often as you want, for the length of your pass! The more museums you visit, the more you save! No expiration date on the pass - you simply enter the date you want to begin using your pass, and it's active from that date! Best of all, your Paris Museum Pass gets delivered right to your home address!